At Gold Coast Solar Power Solutions we highly recommend Fronius solar power inverters as the very best solar string inverters on the market. As a market leader for solar inverters Fronius is a highly reputable, established European (Austrian) company with a history that spans over 70 years. Fronius has one clear goal: to be a leader in innovation. With around 3,000 employees worldwide and over 1,000 granted patents on record, Fronius are continually shifting the limits of what’s possible. While others progress step by step, Fronius innovate in leaps and bounds. The Fronius Galvo is a transformer inverter available in single phase power categories from 1.5 kW to 3.1 kW and is an ideal solar inverter for smaller residential solar power systems. The integrated energy management relay allows maximum solar power self-consumption (if that’s what you want). A host of other smart features make the Fronius Galvo one of the most future-proof inverters in its class: for example, the integrated datalogging, the simple connection to the internet by Wi-Fi or ethernet cable and the plug-in card technology for retrofitting additional functions in the future if required. The Fronius Galvo is a perfect replacement for smaller faulty transformer inverters such as the Sharp JH1600e or AeroSharp inverters as they are transformer inverters and don’t require additional earthing of the solar panels. Check out our post on earthing transformerless inverter systems here. The Fronius Primo is a transformerless inverter available in single phase power categories from 3.0 kW to 8.2 kW and is an ideal solar inverter for residential solar power systems. It’s innovative SuperFlex Design provides maximum flexibility in system design while the SnapINverter mounting system makes installation and maintenance easier than ever before. The included communication package via ethernet cable or Wi-Fi connectivity, energy management, several interfaces and much more, allow the Fronius Primo to communicate with the user, the solar power system and the electricity grid. 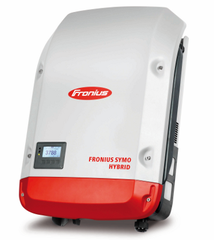 Boasting power categories from 3.0 kW to 20.0 kW, the transformerless Fronius Symo is the three-phase inverter for systems of every size. The high system voltage, wide input voltage range and two MPP (Maximum Power Point) trackers ensure maximum flexibility in system design. The standard interface to the internet via Wi-Fi or ethernet and the ease of integration of third party components make the Fronius Symo one of the most communicative inverters on the market. 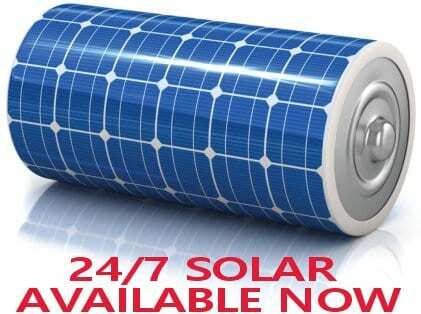 “24hr sun” is the Fronius vision of how energy will be supplied in the coming decades. The Fronius Symo Hybrid is a major step towards this vision. Boasting power categories ranging from 3.0 kW to 5.0 kW, the transformerless inverter allows unused energy from a photovoltaic system to be stored in a battery. 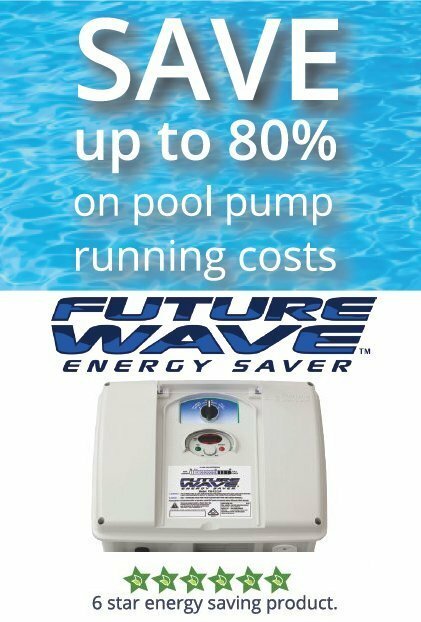 The result: maximum self-consumption of the available power and maximum energy independence. Excess solar power can thus be used at times when generating conditions are poor or impossible. With the emergency power function the household can enjoy an optimum electricity supply even during power outages. Perfect system configuration and visualisation are provided by the built in web server with graphical interface, Wi-Fi and ethernet. In addition, the DC coupling on the battery guarantees maximum efficiency of the overall system. 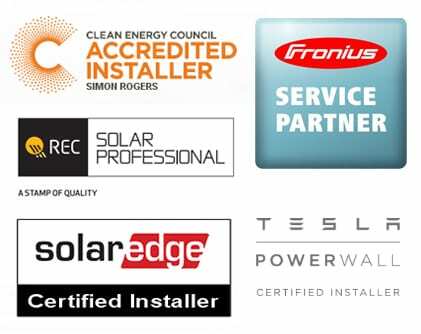 Gold Coast Solar Power Solutions are accredited service partners with Fronius for their range of solar power inverters. What this means is if in the unlikely event you ever have an issue or a problem with your Fronius solar power inverter we can get your solar power system back in operation ASAP. 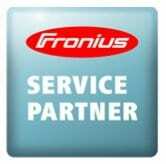 Our technicians have been trained by Fronius to service their range of inverters – we are here to help you!